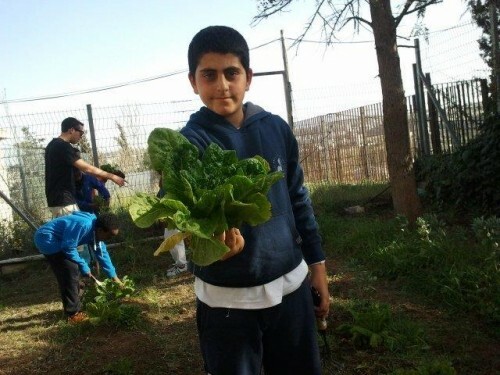 Yad Elie sets up school gardens where pupils grow their own vegetables and fruits. Children are encouraged to engage children in the process of sowing, reaping and harvesting. 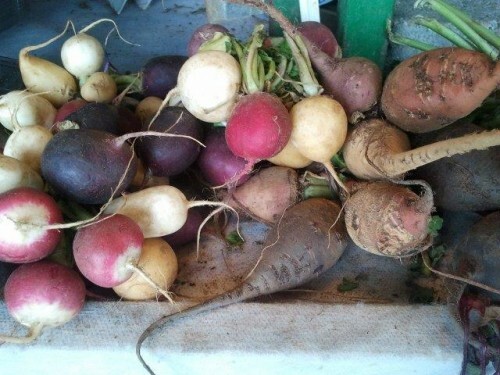 The health and nutrition benefits of school gardens are numerous. 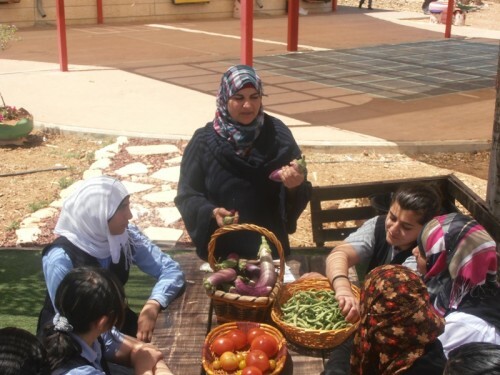 With children’s nutrition under attack by junk food industries, school gardening offers children opportunities for outdoor exercise while teaching them useful skills. Gardens with fruits and vegetables can help revise attitudes about particular foods. Together with a healthy lunch program and nutritional education, gardening encourages more healthful food choices. 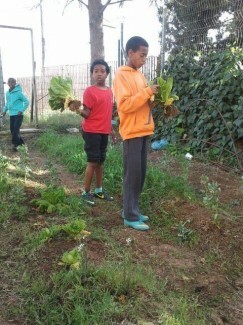 Vegetable gardens let children taste the wonders of fresh food. 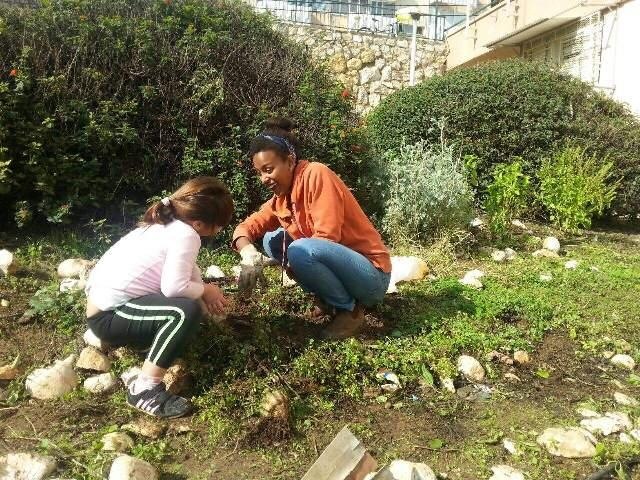 Members of the Mahapach-Taghir (Revolution) Israeli-Palestinian Student Organisation worked with children in the disadvantaged Kiyriat HaYovel neighbourhood. Neglected parks and other public spaces were cleaned up and made into vegetable gardens and fruit orchards.